For a limited time only receive a 15% discount on our Tinted 1/2" Passenger Windows. Retail price normally $1,800.00. Sale price of $1,530.00 plus freight. You must mention this offer when you contact us. 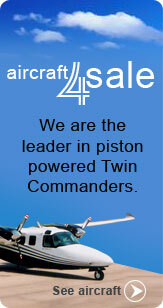 Aircenter is the sales leader in piston powered Twin Commanders. We will purchase your aircraft for cash or broker for sale. We also modify Twin Commander aircraft. We can install 27 Supplemental Type Certificates with FAA-PMA approval that allow us to modify Twin Commanders with such mods as Cool AirTM air conditioning, high output alternators, front crew door, long-range fuel tanks, and speed mods. Those STCs are the ones that transform any 500A, 500B, 500U, or 500S into an airplane that, from a short distance, cannot be easily distinguished from the last Shrike to roll off the assembly line. When you buy an Aircenter modified Twin Commander, you get an airplane with unmatched aesthetics; an airplane that has a redesigned panel, filled with state of the art avionics, configured with the single pilot in mind; and an airplane that has become the benchmark of the Aero Commander resale market. We may not have built your Aero Commander, but we can make your Aero Commander better. 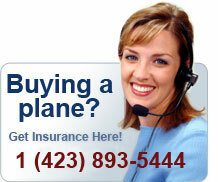 In addition to aircraft sales, we offer aviation insurance.